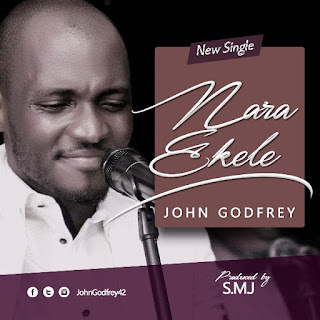 Gospel music minister John Godfrey releases his new single “Nara Ekele” which is a soft-tempo worship song. The singer, known for his smash hit high tempo songs like “Mma Mma” and “Akachukwu” and not forgetting his recently released video of his song “Praiz You” featuring award winning gospel ministers Tim Godfrey and Obiora Obiwon, presents to us another side of him with the recording of this pure soul & worship song. A masterpiece that will connect your heart from the start till you are lost in worship to God.